I am all about contour and when I see a drugstore contour powder. 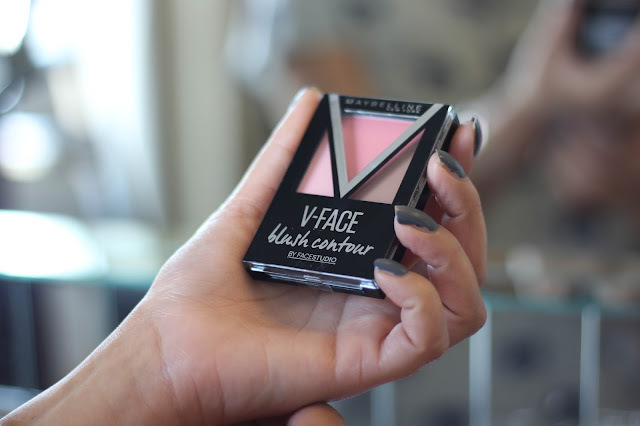 Maybelline launched their blush-contour duo called Maybelline New York V-Face Blush Contour and there was no way that I was skipping this one! 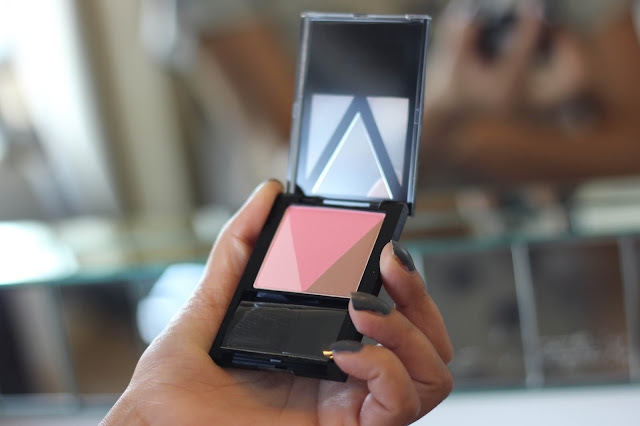 Maybelline New York V-Face Blush Contour costs 550 INR and comes with 2 blushed, one contour color and a little brush. As I have been travelling a lot lately, I though I will take it to one of my trips as its quite compact and has both my needs in one. The contour color is a middle tone brown, can work well as both contour and also to warm up the face. As its matte, one can freely carve out her cheekbones. The powder is pretty pigmented so no going back and forth required. There are two blush options, a light peachy one and other a little darker and brighter. Both the blushes look great individually but I love to layer them. I like blushers a little more than contour as they go on even smoother. 1. Easily available and affordable. 2. Steardy, travel friendly packaging. 3. Powders are quite pigmented. 4. Both blushers and contour colors are easy to blend. 6. As they are matte, they look natural. 7. Contour color can be used both for sculpting face and also to warm it up. 8. Blushes give a natural flush to the cheeks. 9. Powders stay for good 5-6 hours even in Delhi heat. 10. The brush that comes along is not the best but still gets the work done. I wish it had a highlighter too, that would have completed the palette. Maybelline New York V-Face Blush Contour is a great, cost effective contour and blush palette, perfect as travel makeup too. Cute color! Maybelline really have one of the best poroducts and prices!